Control panel design, manufacture and installation is one of our core business activities. We fully understand control applications, control panel production, field installation, and system commissioning requirements. As a UK control panel manufacturing specialist, we understand the need to deliver reliable, flexible, cost-effective quality systems. These systems are often used in energy power sectors, including nuclear, electric and gas, along with water, transport, manufacturing, pharmaceutical and many more. 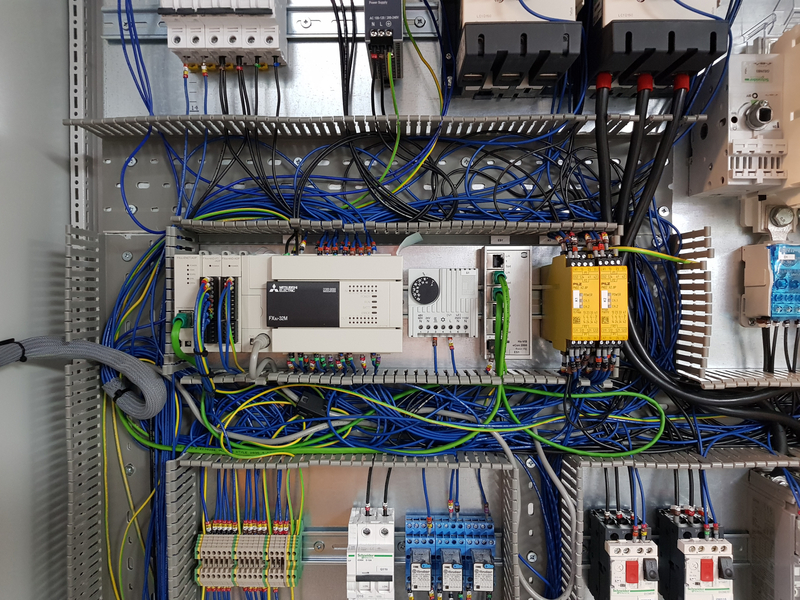 Systems can range from a single control panel to a fully distributed control system, which we design and build ourselves. The simplest control systems are usually panel mounted on a wall or on the machine. They can also be created to allow the operator to view the front panels and manually intervene if necessary. If you’re looking to create or update any kind of industrial control system, we can help. We will design and build your bespoke control panels in our dedicated workshop. We carry out the installation, programming, testing and commissioning all the way through to completion. Our experienced team can assess your current systems to evaluate as to whether you would benefit from a new system Modern PLC’s/ HMI’s and SCADA systems can give your equipment a new lease of life, helping increase productivity, along with saving time and money down the line. These are just some of the systems we’ve created. For more information or to discuss your requirements call us on 01406 424282 or contact us here.